KCS Plastics produces a variety of High Density polyethylene products as well as 3 layer co-extruded films and liners. We produce polyethylene film in gauges from .24 to 8 mils. in web widths up to 49 inches. KCS Plastics was formed in 1991 by Kelly Kyle, Cec Clarke and Stu Worthington. Find out more about the history of our company. 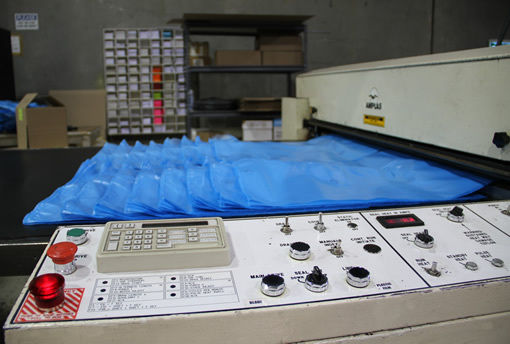 For over 22 years, KCS Plastics has provided complete polyethylene packaging solutions for customers across Canada and the US. Our products are food contact safe as defined by Agriculture Canada and U.S.F.D.A.We can provide custom solutions to all of your polyethylene packaging needs. Contact us today for a complete quote.High density polyethylene is the environmentally responsible choice for today’s world. It reduces the amount of packaging material by more than 50%, as well as being recyclable. Well established west coast three-layer polyethylene extrusion plant with excess capacity is looking for an opportunity to sign contracts to supply film to any company requiring product without having to spend major amounts on capital expansion. 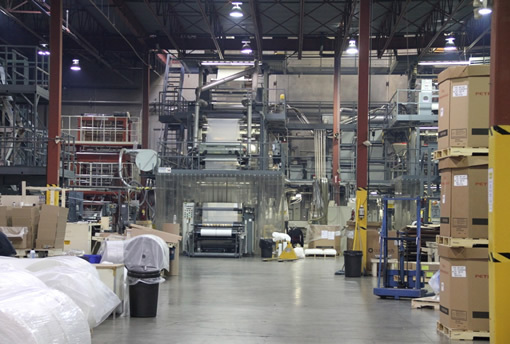 Our AIB certified plant has a proven record of supplying very high-quality film to many major customers across North America.